Short teaser for Marvel's 'The Avengers', directed by Joss Whedon. And there came a day, a day unlike any other, when earth’s mightiest heroes found themselves united against a common threat…to fight the foes no single superhero could withstand. On that day, The Avengers were born. 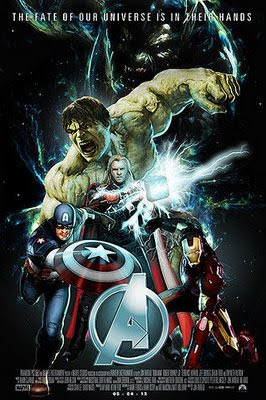 'The Avengers' consist of Robert Downey Jr. as Iron Man/Tony Stark, Chris Hemsworth as Thor, Chris Evans as Captain America, Mark Ruffalo as The Hulk/Bruce Banner, Scarlett Johansson as the Black Widow, Don Cheadle as War Machine, Jeremy Renner as Hawkeye and Samuel L. Jackson as Nick Fury.